The research takes Derrida’s book ‘Specters of Marx’ as a starting point to examine how the “Specters of Marx” could be traced and perceived in its ‘materialised form’ of a monument, at the Marx Engels Forum in Berlin. 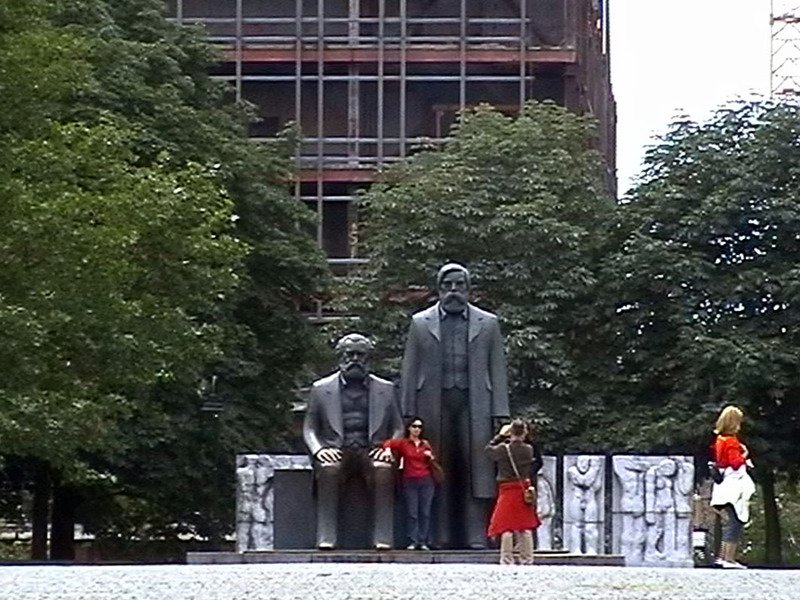 The site, which is a unique manifestation of these thinkers in Europe, gives the opportunity to examine Derrida’s idea of the specters and staging as production of truth, to find out how these symbolic figures of modernity perceived and how the act of performing tourist rituals gives way to the production (and perception) of meaning and machines of ideology. It is a research into the performative and the theatrical, concerning the act of staging in artistic practice. My research takes a closer look on how different approaches on authority, participation and representation manifested on formal, aesthetic level, as well as conceptually in the chosen site. The former DDR Parlament, which is being dismantled in the background, strengthens the historical context already present in the sculptures. Symbolic layers are activated by the gestures of the tourists, who treat them like father figures, objects of (sexual) desire, or simply like playground figures. The intervention, which plays with the size of the monument, explores affective energies of perception in public space. 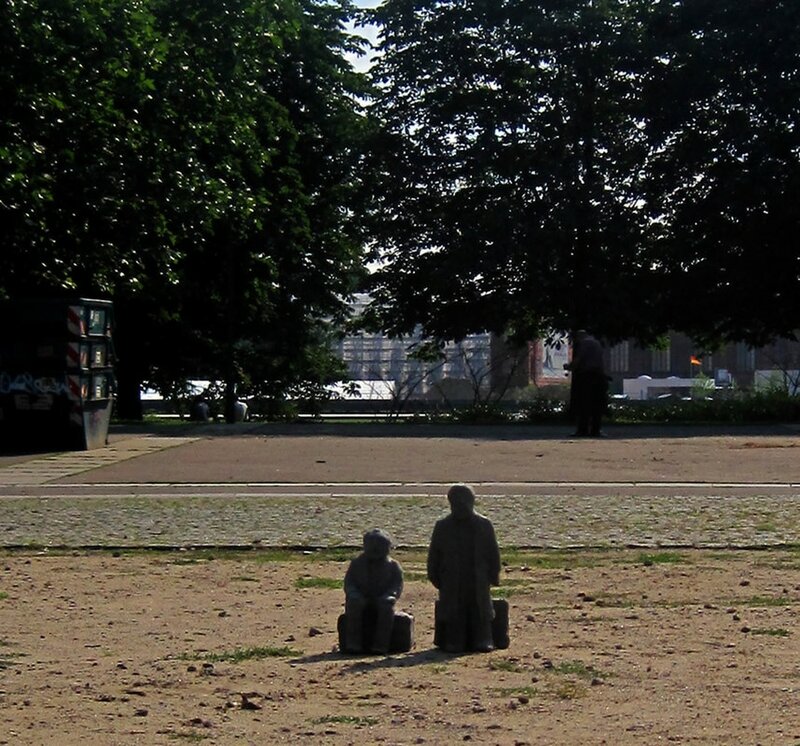 The small clay model of the Marx Engels Forum was put in its original location. It was only visible from close distance. The locals and tourists as well, made the connection with the monument and starte to take photographs. In the video the camera closely observes movements of workers in their repetitive actions. Their gestures and the way they react to the observing camera is the main focus of the film. Towards the end the location reveals itself: the Marx Engels Forum in Berlin, where the workers are busy in removing the monument. This puts another layer on the depicted situation.